The Prince of Wales hosted a Garden Party at Buckingham Palace today to mark 40 years of His Royal Highness’s charity The Prince's Trust. The Prince was joined by Prince’s Trust Ambassadors, including Sir Ben Kingsley, Fearne Cotton and Pixie Lott, alongside more than 5,000 of the charity’s supporters and beneficiaries. In the last 40 years, the charity has supported 825,000 young people. 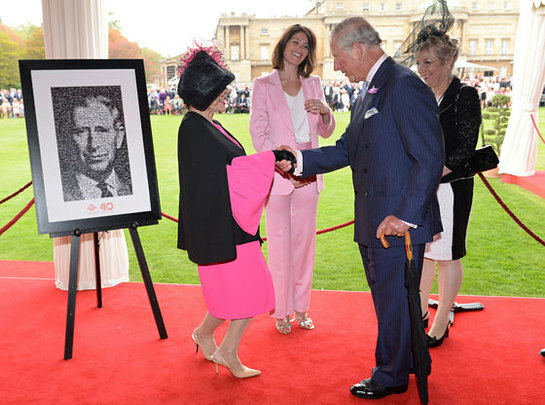 During the garden party Dame Joan Collins and Gemma Arterton presented His Royal Highness with a portrait of himself created from hundreds of images of people whose lives have been touched by the work of The Prince’s Trust. 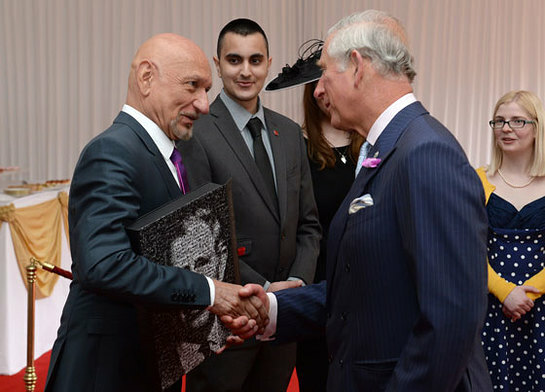 A digital book of memories containing messages recorded by young people and supporters of The Prince’s Trust was also presented to The Prince by Sir Ben Kingsley. The Prince’s Trust was founded by The Prince of Wales in 1976, and supports 13 to 30 year-olds who are unemployed, struggling at school or at risk of exclusion. Many of the young people helped by The Prince’s Trust are in or leaving care, facing issues such as homelessness or mental health problems, or they have been in trouble with the law. The Trust’s programmes give vulnerable young people the practical and financial support needed to stabilise their lives, helping to develop self-esteem and skills for work.